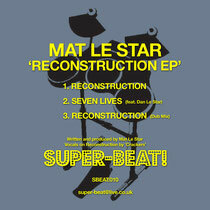 Mat le Star returns on his Super-Beat! label with a new EP of melodic and tech fuelled house music. Super-Beat! has made steady progress with its releases since its launch in 2009, focusing predominantly on the quality productions of label boss Mat le Star and drawing support from the likes of Terry Francis, Shaun Reeves (Visionquest), Diesel & James Zabiela. 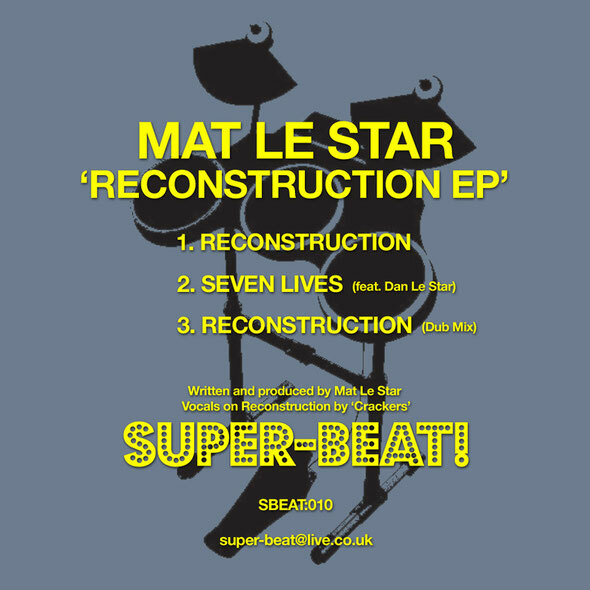 Now Le Star is back with a brand new EP, which kicks off with title track ‘Reconstruction’, a hypnotic and techy house cut with filtered synth stabs, rising string lines and a hooky vocal all sitting over rolling drums. Next up is the epic ‘Seven Lives’, which journeys into classic house territory featuring the vocal talents of Dan le Star, the soon to be wife of producer Mat. The record takes elements of old school house with uplifting vocals and keys offset by deeper percussive elements, all packaged by the talents of Mr Le Star. The EP is rounded off with a dub mix of ‘Reconstruction’ which gives a more stripped back take on the opener. Out 25th May.